WALZWERK Restaurant offers authentic and unique East German cuisine in the San Francisco Mission district since 1999. We serve delicious German food. Our dishes are authentic and traditional with a focus on recipes our parents and grand parents used to cook while living in former East Germany. 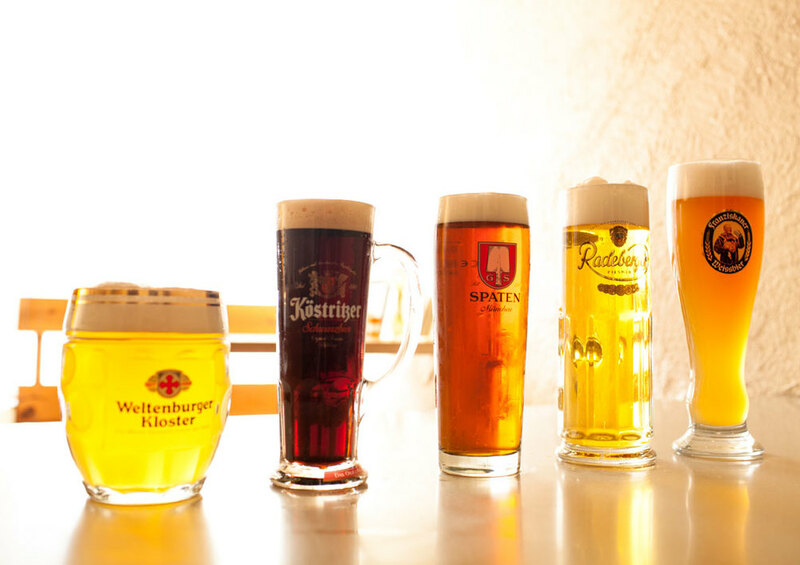 We offer a well crafted selection of German beers and wine to pair up with our delicious meals. Our East German favorites are: Köstritzer Schwarzbier and Radeberger Pilsner. Many memories have been made by celebrating special events in our cozy back room, which can seat up to 18 people. We're always happy to make friends with San Francisco locals and visitors who make our community thrive. For 16 years Walzwerk has become a second home to locals who've come regularly since the restaurant was first born. Every week we are happy to welcome new Stammgäste. We are proud to call you family! Ost Deutsche Gemütlichkeit. Our handpicked decor has been organically crafted and created with love and lots of flea market visits in Berlin. Even German visitors have brought in artifacts that found a new home here. Feel welcome in a different and loving culture. Seeking new adventure and experience Isabell and Christiane moved from their native Germany to San Francisco in 1996. "Isabell and I met in Berlin. Instant friends with the same 'Wanderlust' nature. Working in the industry for many years gave us the strength for a crazy idea: Introducing East Germany to the map of culinary treasures in San Francisco. Walzwerk was born. For almost 16 years we are happy to share - We love you San Francisco and you are our home now!" "Writing about myself seems more difficult than I thought, but I promise I will find someone soon who can transform my story into beautiful words. I am as excited as you are. :)"